Rapid City is isolated when it comes to mental health care access and coverage. The regional hospital has just 44 beds for long term care patients. The South Dakota House of Representatives has publicly acknowledged the need for additional services in western South Dakota. A legislative task force is looking at access for those who have a mental health crisis. The last year has been a real struggle for Katy Urban and her Rapid City family. Their thirteen year old daughter was hospitalized repeatedly when she tried to take her own life. Urban says within two months, her daughter was hospitalized four times. “And she needed long term care, so we started looking at other places,” Urban says. They found a treatment center with a good reputation two states away, in Colorado Springs where they have family. Urban says dealing with a mental health crisis is never easy but bigger cities have more options. She says West River has enough mental heath issues to warrant more attention and options on this side of the state. Urban is the community relations manager for Rapid City area schools. She says seven times in the last 16 months she’s had to inform district parents a student has taken their own life. And it’s not just teenagers, people in every age group need mental health care. State and local governments are looking at early intervention methods, that could save costs on the back end. Pennington County Sheriff Kevin Thom says it’s been a struggle for a number of years on the western side of the state. “We continue to see our need for mental health services escalate,” Thom says. “In particular, us at the jail, we’re one of the largest, if not the largest, mental health providers in South Dakota. Jails across the country have become large providers of mental health services. That’s why the sheriff’s office opened the Pennington County Care Campus. It’s a $14 million dollar complex across from the county buildings that provides mental health and substance abuse services. It was funded by city, county, and private donations. The campus brings together detox, safe solutions and health and human services all under one roof. Housed within that campus is a crisis care unit, in partnership with Behavior Management Systems of Rapid City. Thom says the Care Campus addresses street level crisis management, which is mean as an alternative to jailing individuals. He says the campus creates efficiency for the sheriff’s office, but he says it’s more of a stepping stone for a higher level of care. Thom says the justice system needs more support from other service providers or alternative programs that can divert people into mental health services. That’s State Representative Michael Diedrich of Rapid City. He’s one of 17 state lawmakers on the Access to Mental Health Services task force. Diedrich says the group is looking at the high prevalence of behavioral health issues in the state, and the lack of well coordinated resources. Last legislative session, the House passed a resolution recognizing the need for additional mental health services in western South Dakota. While there has been talk about a state run West River facility, Diedrich says a brick and mortar facility isn’t politically feasible at this point. The task force is looking at licensing requirements for mental health professionals to address the personnel shortage in the state. Diedrich says South Dakota’s psychiatrists are aging out of the workforce. Randy Allen is the clinical director of Behavior Management Systems in Rapid City. It helps run the Pennington County Care Campus. Allen agrees there’s a workforce shortage in west river, and across the state. “Everybody around town, that is a fairly large provider around town, has a waiting list to be seen, just for outpatient counselling,” Allen says. Allen says part of that comes from an increasing need for these kinds of services. But the whole state struggles to attract qualified professionals to provide those services. Allen says a Rapid City group will push for a legislative bill to simplify the licensing requirements for those getting a degree in counselling. But it’s not just about workforce shortages, rural access to mental health care is also a struggle. 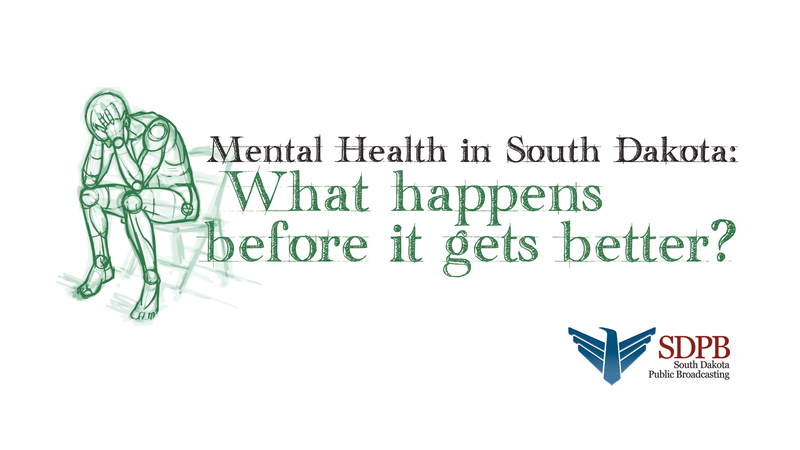 The state task force on mental health convenes again in November. They’re expected to bring recommendations for the next legislature to consider.